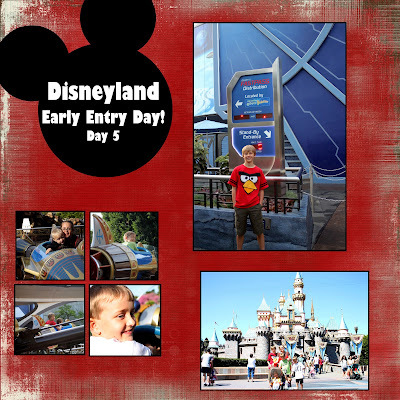 Boytrapped - The Story of the Statens: Day 5 Disneyland...Early Entry! 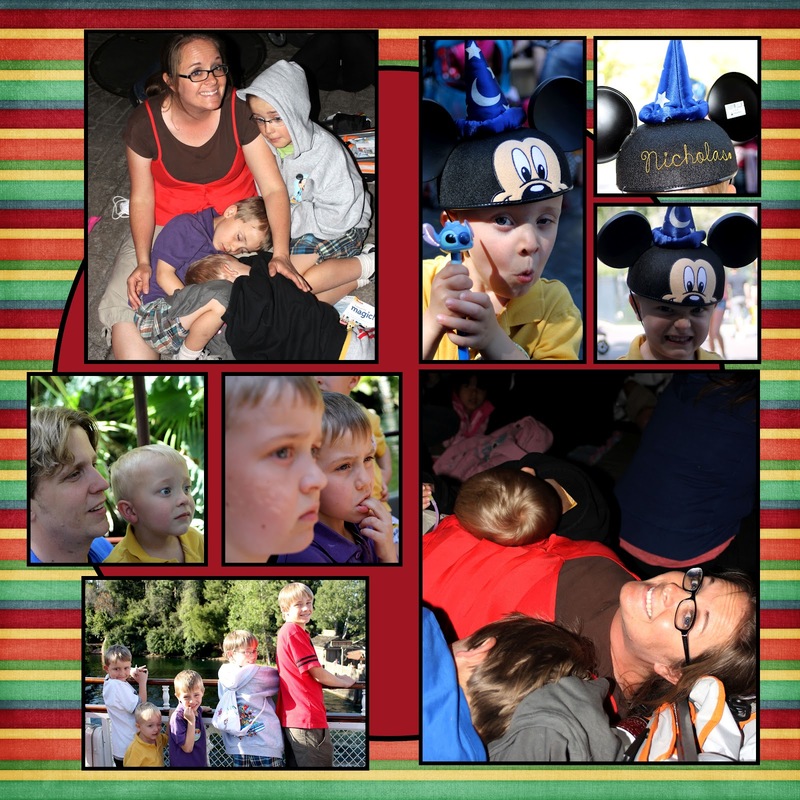 Today was our last day at Disneyland and it was our early entry day. We were able to enter the park at 7am. That was a little tough after a night of sick Nick. I was really worried. It got bad but by this morning he was alright again! ANYWAY, we still got up early and made it to the park on time! We ran right to Star Tours! We had to put my socks in Nick's shoes again to make up that 1/4 inch:) The funny thing is that Star Tours isn't even a ride that you can "fall off". ANYWAY, we hurried and ran to ride it again before the line got long. I LOVE the new star tours. It changes every time! It was a winner with my whole clan! After that Tyler, Matt Isaac and I rode Space Mountain again....twice:) It's not Mikes' favorite so he had no problem riding Buzz with Lucas and Nick during that time! The second time on Space Mtn. we stood in line with the Belt family. Kinda funny! 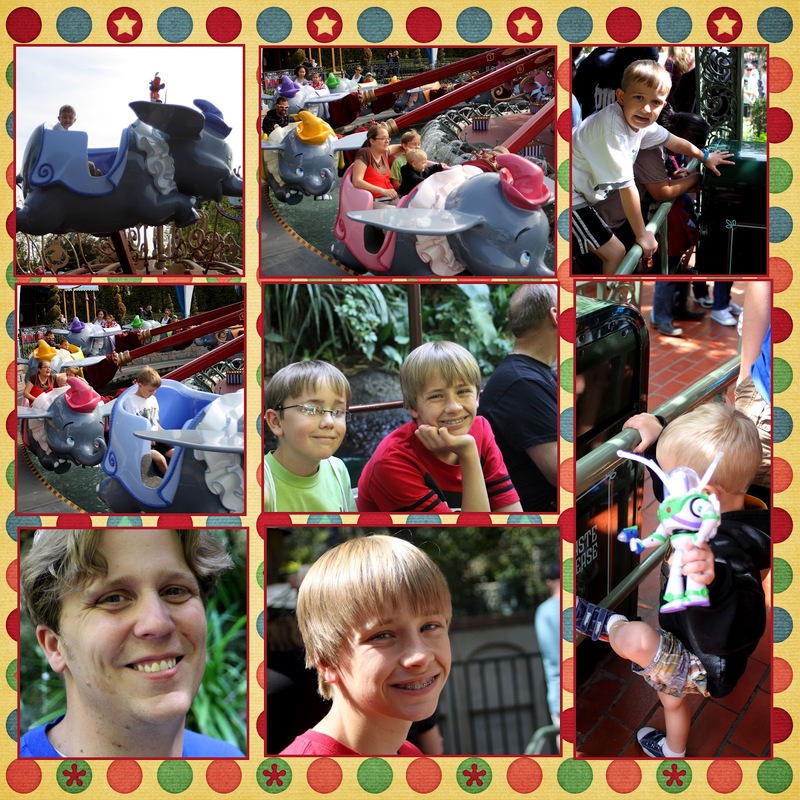 Next we hit the other "big line rides"...the silly rockets and Dumbo. Then we did Pirates. The line wasn't horrible for Pirates but the stupid 20 year old sketty girls that kept trying to cut in line must have thought it was bad. They kept trying and I kept blocking them. Finally they managed to get one of them in front of us. Then another. And another. I wasn't to quite about how stupid I thought it was for adults to cut in line in front of kids! Still irks me! ANYWAY, I love Pirates. The kids LOVED Pirates. Lucas had been scared because it was dark but even he loved it! We did Splash Mtn. again and Pooh .....Thunder Mtn. Railroad. Ahhhh I love Disneyland! 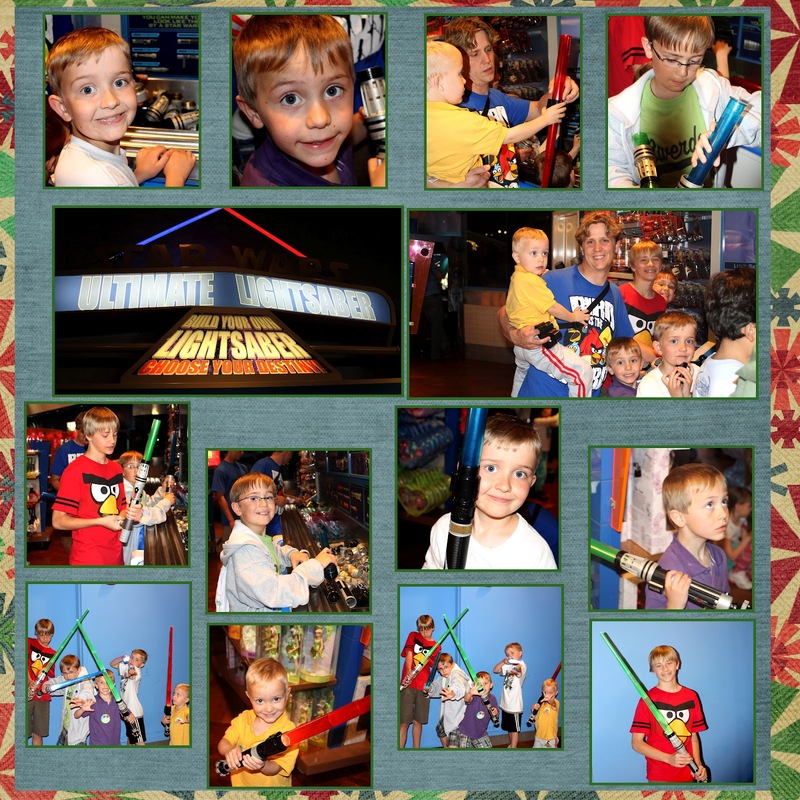 I think that the highlight of the day was the BUILD YOUR OWN LIGHT SABER!!! The kids were in heaven and spent so much time doing it. There is no rushing art! 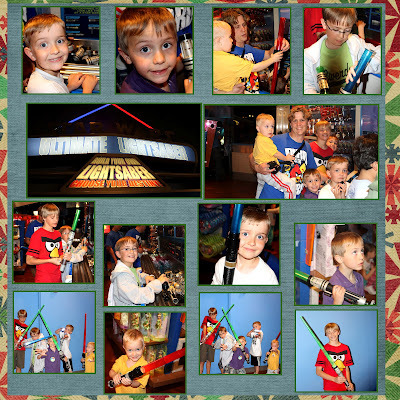 Or Light Saber building....Each of them was floating when we left that store! We decided to finish up the rest of our shopping. Each of the boys had their $ from Grandpa and Grandma and they had been looking everywhere we went all 3 days trying to find the perfect stuff. Yesterday at California Adventure they bought jets and models. Today they got their light sabers and Ty got a Star Tours shirt , Matt got a Disneyland hoodie and a few little toys, Isaac got a Disney shirt and , Lucas got a journal and a pen and , and Nick got Mickey ears and a Stitch pen and some undies and sweats....potty training leads to specific souvenirs! They were all happy as could be! The scary part came when we lost Nick in the Emporium. We both thought that we he was with the other. He wasn't in the store! Mike and I both headed outside from different doors. Mike found him outside, pushed up against a wall sobbing. I am so glad that we push the "When you are lost stay put!" Oh my heart. I was so stressed! I am so glad he was ok! After shopping we did a few more rides and then grabbed HUGE turkey legs and went to scout out and save our spot for Fantasmic. 2 hrs is a long time to sit and wait. 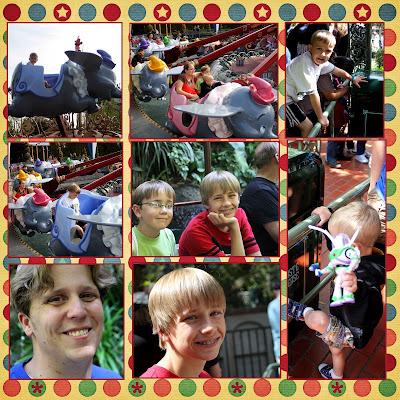 BUT Ty and Matt took the kids to ride Pirates while we waited. It's so nice to have big kids! Mike took Nick to ride Buzz again while we waited but it was broken! Oh my poor boy! Everyone was tired but we all loved the show. After the show we stayed put and watched the fireworks again. It wasn't as good as when we sat in the middle of Main Street, but it was still good! After they were over we stumbled back to our hotel and crashed. OH I was so tired! It's been such a great 3 days at Disney but MAN am I tired! ROARRRRR! It's the Dinosaur Park! California Day 2...Driving and The Beach!